Standards aimed at reducing the risk of disastrous events happening to businesses date back to 1992. They have looked at managing your IT environment, service management, information security and quality systems – i.e. technical processes that mainly look at infrastructure. 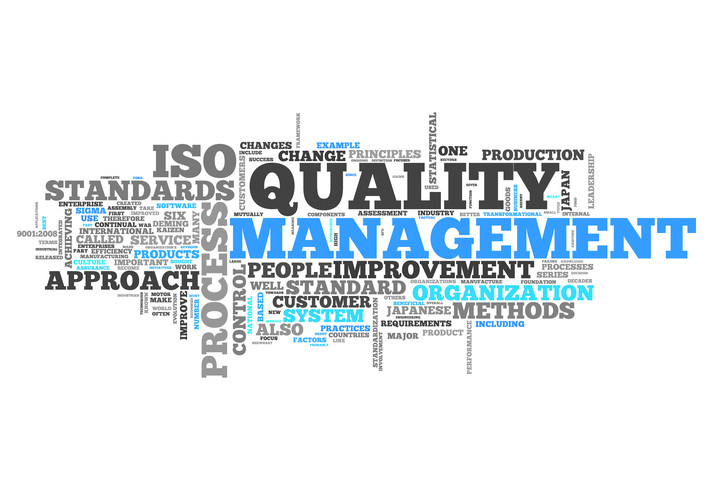 It took until 2012 to create the ‘now de facto standard ISO22301’ which focused specifically on Business Continuity. This provides processes through which one can gain a clear understanding of how the business functions. This includes the resources it relies on, the interdependencies between resources and departments, and then helps determine the impacts of removing those resources or breaking those interdependencies due to a disaster. Finally, it guides the building of a plan that enables the business to continue in those events. Although it was much more business than IT focused, it still left a gap around the management of people. The new ISO 22330 takes a huge step forward in Business Continuity standards and is a well thought out and well put together document giving guidance on managing people before, during and after a disaster. The standard focuses on the duty of care that organizations have, to ensure staff wellbeing at these times. It emphasises that this duty extends to psychological, not just physical, safety. It is clear, from the assessment in the standard, that businesses should feel that meeting this duty of care will make recovery from a disaster much more likely and that it is time and money well spent, as continued staff commitment and good will requires this approach. As with all contingency planning, preparation is key, and when setting up Crisis or Incident Management Teams, a specific individual should have responsibility for accounting for, managing and communicating with staff, health services and relatives. This is an extensive role and a significant responsibility and when planning we must acknowledge that staff may be injured or even killed during an incident. Planning ahead of time, how to deal with this eventuality, is crucial. Communication is a focus of the standard and is fundamental during Response, Recovery and Restoration. This should include tracking staff welfare and guiding their response to providing effective two-way communication about the event, best courses of action and what to communicate to the outside world. Plans must be made for communication both internally and externally bearing in mind that an organisation’s reputation is often at stake in present times when Tweets and Facebook posts are made in an instant. Ensuring that staff know how to deal with events is a challenge, particularly in a situation where the mobile networks and Wi-Fi is locked down, either as a result of the disaster or due to emergency services control to prevent terrorist activity. Staff must be educated ahead of time and they should be provided with action cards. Mobile phone apps, such as Fortress Sentinel, can hold action cards and business continuity plans on staff mobiles and remain available when offline. These action cards can be referred to at time of disaster, avoiding panic and making a positive outcome considerably more likely. During an already stressful event, the location in which staff are expected to continue working, is also another major consideration. As the standard explains, “Unfamiliarity and discomfort will reduce productivity.” The document also notes, "Many recovery sites are located on industrial estates that do not have good facilities". These locations may have been sufficient 20 years ago, but modern office environments are much more pleasant places to be. Staff are now used to brighter, more comfortable environments with fast and available Wi-Fi and good facilities. Moving them into an office of the 90’s, when they are already under strain, increases the stress further and dramatically reduces the effectiveness of the recovery. Failure to take this into account will lose you staff goodwill as well as their productivity. We found exactly this when we looked at the services available in 2016. This fact prompted our investment in the new Fortress Recovery Centre in Crossharbour which provides a current and relevant environment for staff and will be the template for our further Recovery Centres as they come on line. The standard looked at the option of working from home and determined that this is only a suitable option for some staff. Not all staff have the self-motivation to work alone and at home. Many prefer a more social environment, particularly those who are used to working in a team. Also, many staff will not have a good working environment in the home (ie the kitchen table) and social and family pressures will impact their productivity as a result. To decide whether home working is a suitable work area recovery provision, organisations must make a true assessment of whether staff have the facilities and are capable of working at home. In summary, the ISO22330 is an important and valuable step forward in acknowledging the importance of staff to the recovery of a business and the duty of care that organisations have, especially at the time of an incident. It provides an excellent guide to key principles that should be adhered to when planning for these events and is clear in its reasoning. Dennis Flynn, OBE – Creating exceptional crisis team performance. Gianluca Riglietti, BCI – The value of planning, exercising and training. Richard Stephenson, Yudu – How communication technology helps meet the duty of care. There will also be time after for networking and the opportunity to view our Crossharbour recovery centre, so you can see for yourself what we are doing differently and how we have taken on board the sentiment of ISO22330. Fortress is the first new and independent Work Area Recovery services provider in London in well over a decade, having opened its Crossharbour Recovery Centre in 2017. This brand-new Recovery Centre, just 20 minutes from Bank, is receiving rave reviews from customers and the wider industry for setting new standards in both technology and the environment. For further information about our Crossharbour Recovery Centre and Fortress Sentinal crisis communication system, please see: www.fortressas.com or call: 020 3858 0099.